They keystone of the JEC are our Economic Forums: Half day conferences with inspirational speakers and innovative workshops. Held quarterly, these forums are a free event that is open to all high-school students with the intent of stimulating change in the way that business and finance are approached. Held at the TMX Broadcast Center: the ‘Reach for Innovation’ Forum and Pitch Competition. Attendees listened to keynotes about working for the financial sector and were able to ask questions to a panel of students accepted to and studying at a variety of distinguished universities and faculties. Teams in the Pitch Competition got to present their entrepreneurial ventures for socially technological innovations to a panel of investors. The winners of the Pitch Competition received a $2000 award towards developing their creations. Hosted at the Globe and Mail center in downtown Toronto, the 2017 fall economic forum provided students with exceptional opportunities. With an exciting lineup of keynote speakers who were there to inspire and connect, students were able to engage in interesting talks amongst peers with similar interests and open their eyes to amazing new startups, developing the business minds of Toronto’s future. Organized at a world-class venue, ambitious students were able to gain insider information about the intricacies of working in a professional environment in a panel composed of McKinsey employees at the Summer 2017 JEC event. In the presence of McKinsey executives, students developed their ability to perform under pressure while partaking in a case competition. To conclude the event, eloquent speakers described their own experiences in the industry and provided advice. At the Cidel Asset Management head office, there was an incredible opportunity to network with like-minded peers. 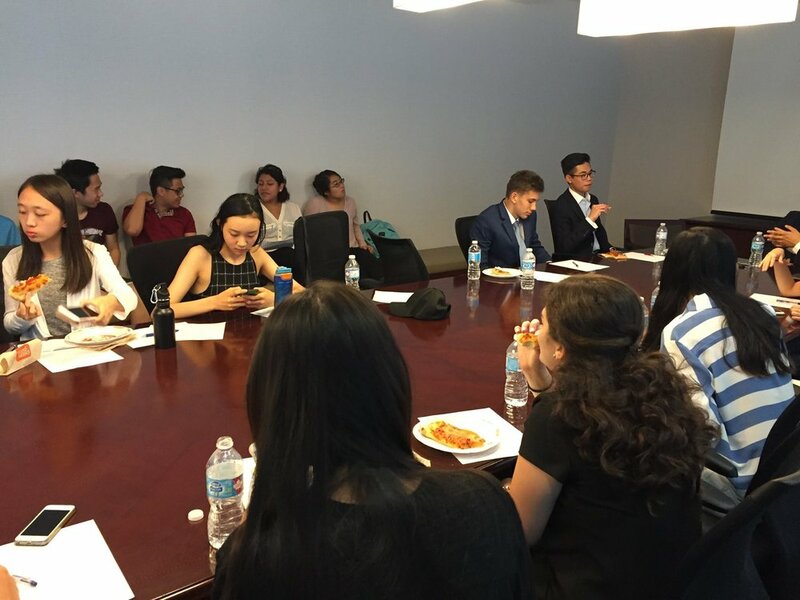 By discussing about finance, politics, and business, many new connections were formed between young and aspiring entrepreneurs. In the (WORD) environment, students gained insight from a plethora of speakers. Three speakers gave an insider look on advice for students aspiring to work in the fields of wealth management, serial entrepreneurship, and politics. Concluding the day with a panel of students from different notable institutions such as Princeton, Columbia, and Georgetown, they provided advice for Canadian high school students who were interested in applying to schools in the US. At our inaugural event, the JEC featured Anatol von Hahn, the former Group Head of Canadian Banking at Scotiabank. Afterward, students engaged in a round table discussion of Q&A. Then, students learned about the unique entrepreneurship space from VentureLab executive Mike Betts. Both speakers gave intriguing presentations and had fun activities for students to complete.